Arrow Video is pleased to announce the American Horror Project, a new series of box-sets which sees a variety of rarely seen and long-forgotten cult horror films being restored and returned from obscurity and risk of being lost forever due to fragility of original film material. American Horror Project will ensure that these unique slices of the American Nightmare are brought back into the public consciousness and preserved for all to enjoy in brand new High Definition transfers from the best surviving elements. The first volume of the series will be released Feb 22nd 2016, with Arrow Video committed to bringing these lesser-known efforts of US genre cinema back into the limelight where they belong. The set will be limited to a run of only 3000 copies. 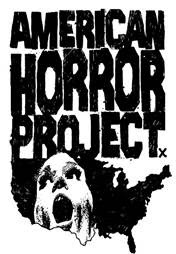 American Horror Project is a story of the unsung heroes of American horror cinema – films from the USA’s golden age of terror which, for a multitude reasons, have either slipped through the cracks or never gained the recognition they so richly deserve. Films that aren’t mentioned by movie fans in the same hushed tones of reverence as The Exorcist or Halloween – but are every bit as bold, bloody and bizarre as their more famous counterparts. Everyone knows the classic American horror titles: Night of the Living Dead, The Texas Chain Saw Massacre and A Nightmare on Elm Street, to name but a few. But we want to tell you a different story: a story of the unsung heroes of stars-and-stripes terror, films that have remained on the fringes of the genre either through lack of availability or else sheer obscurity. This is where American Horror Project comes in. Volume One of this series presents three tales of violence and madness from the 1970s. Malatesta's Carnival of Blood (Christopher Speeth, 1973) sees a family arrive at a creepy, dilapidated fairground in search of their missing son, only to find themselves at the mercy of the cannibalistic ghouls lurking beneath the park. Meanwhile, The Witch Who Came from the Sea (Matt Cimber, 1976), stars Millie Perkins (The Diary of Anne Frank) as a young woman whose bizarre and violent fantasies start to bleed into reality - literally. Lastly, every parent's worst nightmare comes true in The Premonition (Robert Allen Schnitzer, 1976), a tale of psychic terror in which five-year-old Janie is snatched away by a strange woman claiming to be her long-lost mother. Newly remastered from the best surviving elements and contextualised with brand new supplementary material, American Horror Project proudly presents an alternative history of American horror and film heritage.